You spend hours of your time creating the perfect graphic that depicts your company's core process. You spend money on conceptualization, rendering, and the final production of your perfect graphic. You might use the graphic once in a presentation, proposal, marketing piece, and then it is saved somewhere on the server or your desktop or a designer's hard drive. A year later, you want to communicate the same process or concept in a new presentation, but you can't find the original source files. You have to start from scratch. Create a folder on your server labeled "Graphics" (or whatever is relevant for you) and only give permissions to necessary personnel. You don't want everyone to have access to your graphics, because this leaves room for file deletion, corruption, or even misuse of the graphics. Within this folder, create an archive of the most used graphics in your organization. Label the folders so the graphics are easy to find, especially if you're under a deadline. You can label the folders with the project name in which the graphic was used (ABC Proposal, XYZ Presentation, etc.) or label it by graphic type (Process Graphics, Organizational Graphics, Network Diagrams, etc.). Organize this folder with subfolders of High-res Company Logos, Partner Logos, Corporate Photos (e.g., head shots of executives or photographs of company offices), Word Templates, Newsletter Templates, and Stock Images. I would even break out the Stock Image folder into subsets of Generic Business People, Desktop Computers, Computer Components, Office Workers, and any other images that your company uses for its communication pieces. Consider icons you use to represent databases, process flows, routers, switches, firewalls, laptops, customer service, etc. If you have a central folder where you can access the most frequently used icons, then you will maintain consistency throughout your marketing materials, web pages, proposals, and presentations. Create a style guide, which details your company's colors, proper logo usage, font usage, and use of images in marketing pieces and on the web. You can even include samples of the proper icons that represent certain concepts or items used in corporate communications. A style guide will help keep your company's image clean, professional, and consistent. Keep this style guide within your graphics folder for your team to easily reference. It will take time to set up the folder properly. 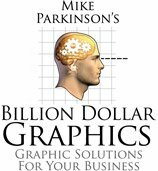 But if you remember to diligently update and maintain a graphic library, you will get the most out of your graphics. No more wasting time and money to recreate graphics when you recycle and reuse!